A static two storey, four bedroom luxury house with a focus on sustainable and off-site prefabricated materials. 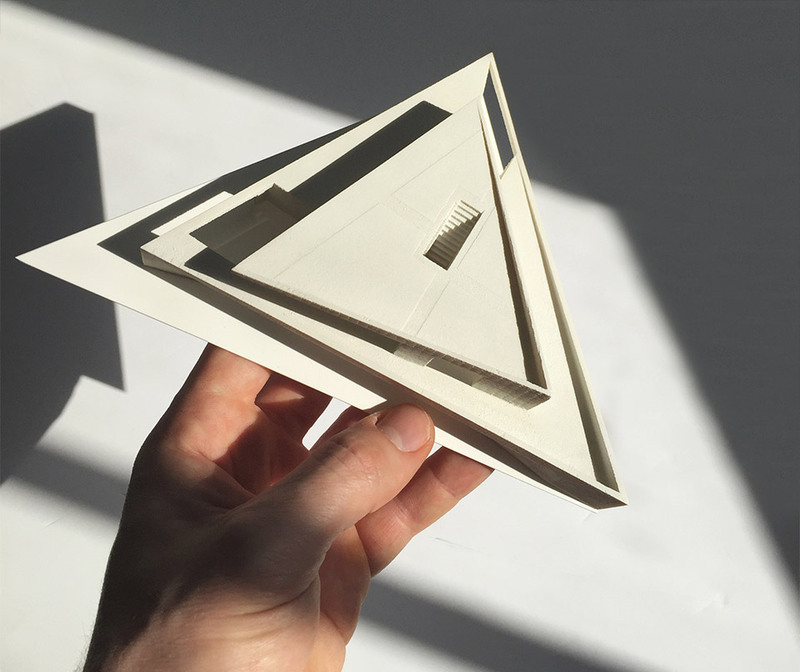 This D*Haus is inspired conceptually by a twisted triangular plan evolved from the 1903 Henry Ernest Dudeney mathematical formula. The house is static, but with key dynamic elements introduced to adapt and respond to the landscape and maintain a sense of movement inspired by the Hybrid D*Haus. 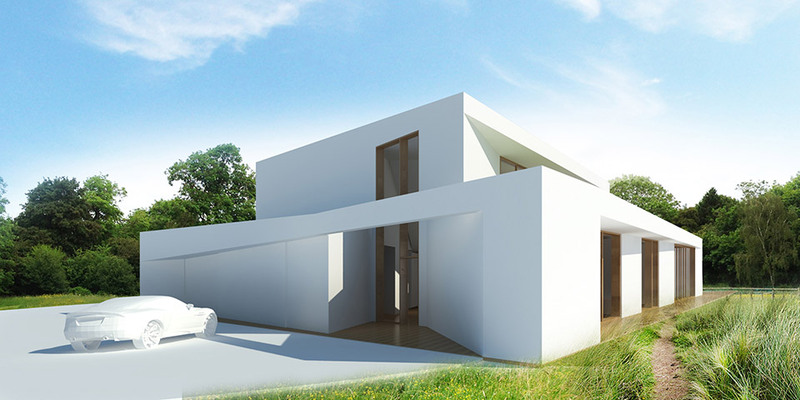 The house presents a clear white undiluted facade that is completely flexible; when the owners are away the house closes all its openings completely so the facade then reads as a singular monolithic volume, shutters are designed to melt away to leave the building in its purest form. 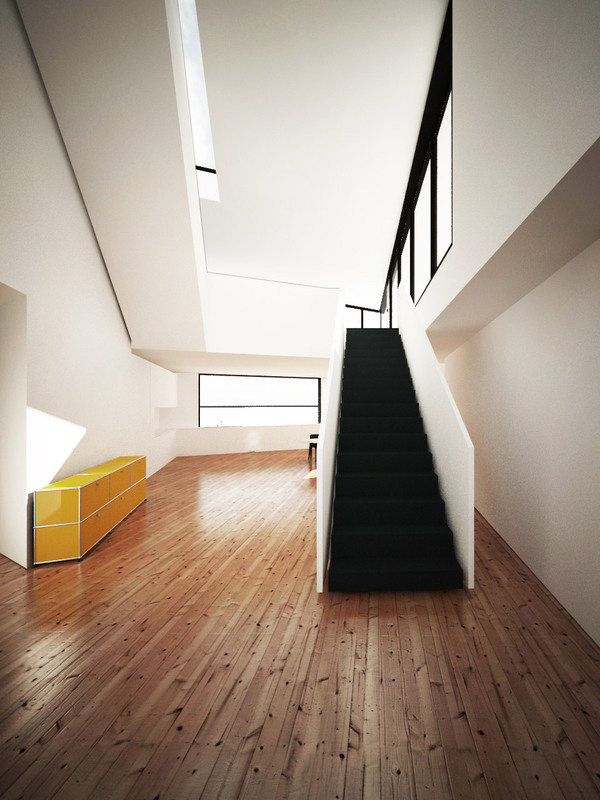 The entrance approach leads the user to a double height entrance space where there is a transcending staircase that unfolds and unwraps itself to each floor. The ground floor has huge openable walls that invite the landscape into the house in summer and responds to different changes in the temperature. “The power of mathematics is often to change one thing into another, to change geometry into language.